Get the latest info and look into the future of ConvertKit! If you're curious about what we're working on, the Roadmap is a great place to go. Is there a feature you'd like to see on the Roadmap? Here's how to submit a feature request! Note: The images in this article don't necessarily reflect the current status of the Roadmap. To view the most recent iteration, click the link above. 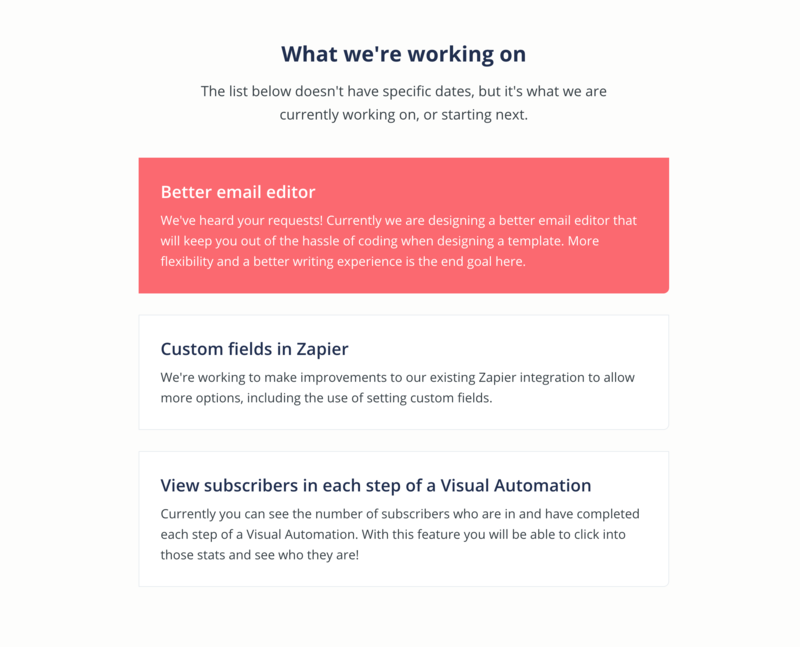 The first section you'll come across on the Roadmap page outlines the features we're currently working on. The projects listed there are in order and the red box is next to be released. 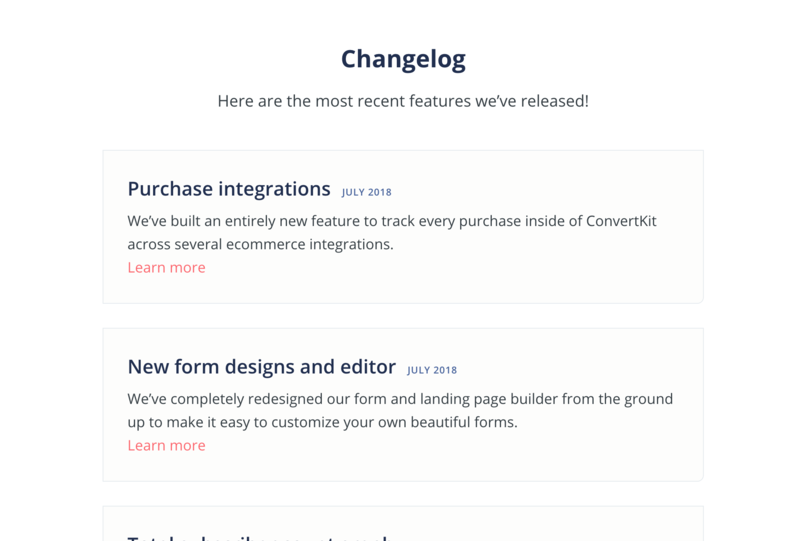 The Changelog section shows features we've recently released, with the most recent being first in the list. Each item also tells the month and year the feature was released.